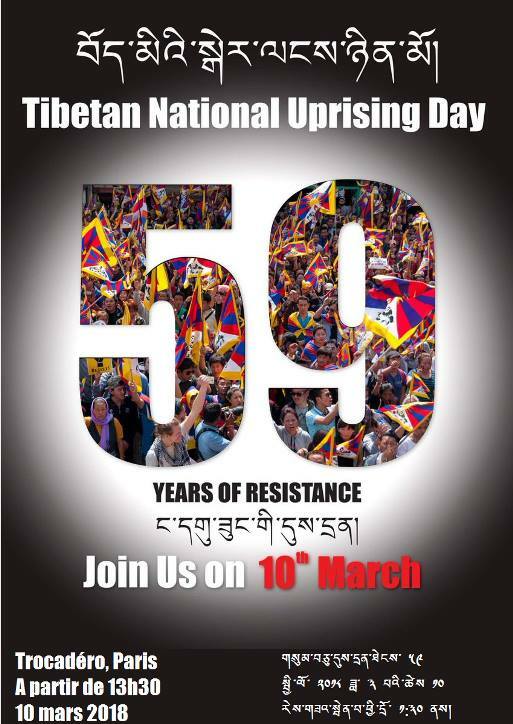 On 10 March 1959, tens of thousands of Tibetans took to the streets of Lhasa, Tibet’s capital, rising up against China’s illegal invasion and occupation of their homeland. 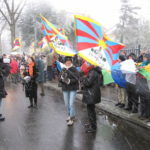 Every year thousands of Tibetans and their supporters take to the streets across the world to mark the anniversary of Tibetan National Uprising Day. Information: The rally will be followed by a march to the New Farm Neighbourhood Centre. 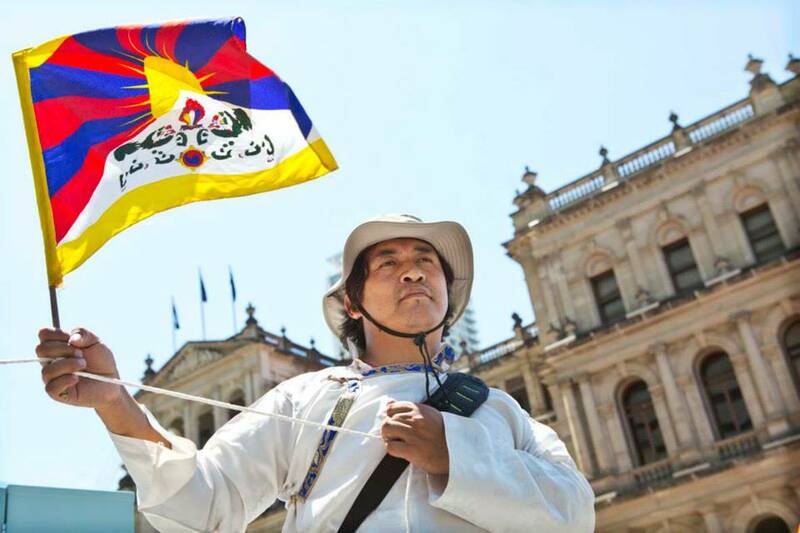 The protest is being organised by the Australian Tibetan Community Association, and we encourage Tibetans and supporters from across NSW to join us on March 10. 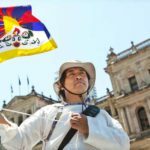 There will be speeches on the day from Amnesty International, Australia Tibet Council, the representative of the Dalai Lama in Australia, New Zealand and South East Asia, a Melbourne University academic, and others. 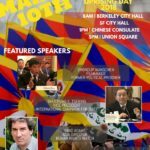 Information: Come and join the Tibetan Community of Australia (Victoria) Inc. in commemorating the 59th anniversary of the Tibetan National Uprising day. 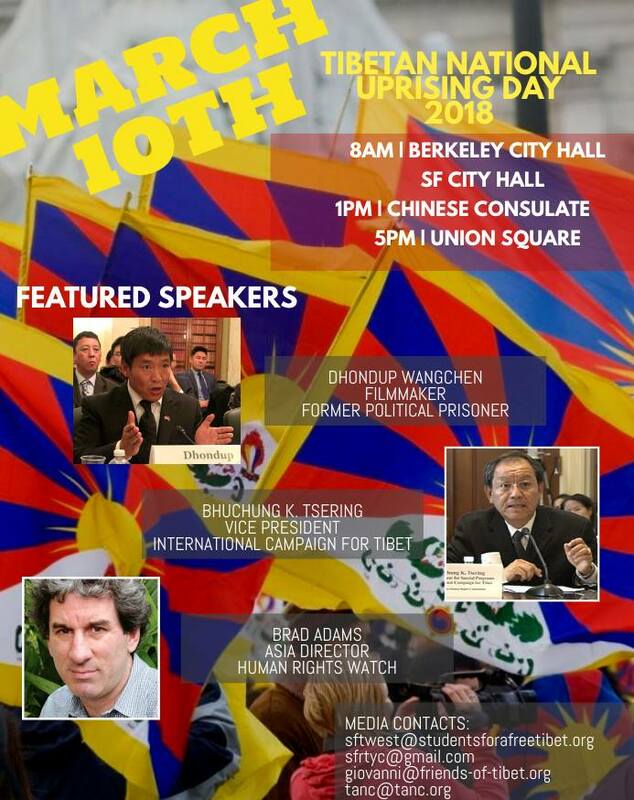 The rally will be followed by a march to the Chinese Consulate. 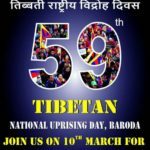 On 10th March 2018 is the 59th Tibetan Peoples National Upraising Day against the illegal occupation of Tibet by China. 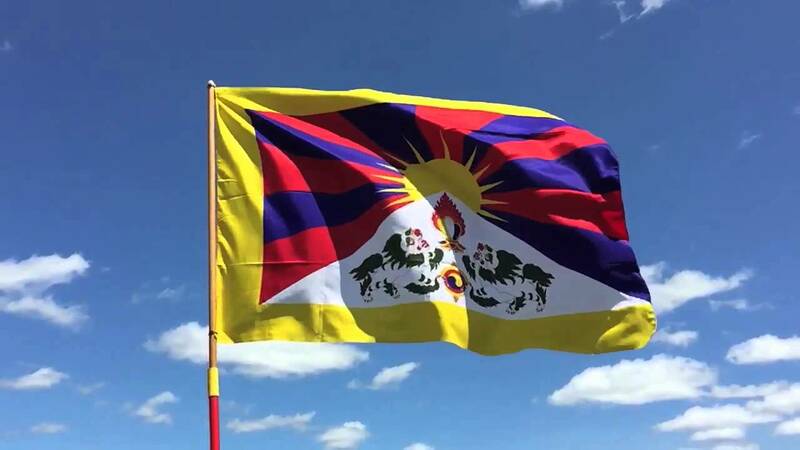 Therefore, on this day as usual we are organizing peaceful demonstrations against the illegal occupation and the dictatorial regime in Tibet under PRC. 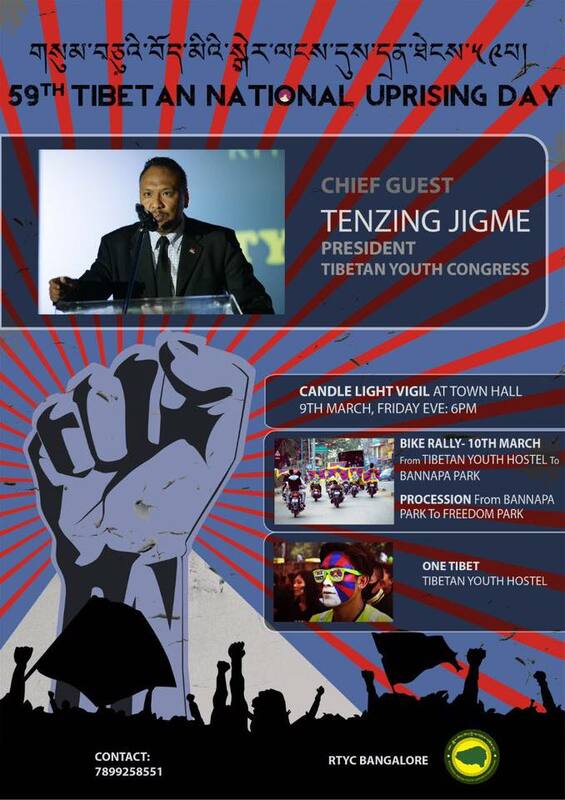 So we are calling for all Tibetans and Tibet supporters to join our demonstrations. 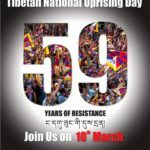 On Saturday March 10, Tibetans and supporters around the world will commemorate the anniversary of the 1959 uprising against the Chinese Government’s oppressive occupation of Tibet. 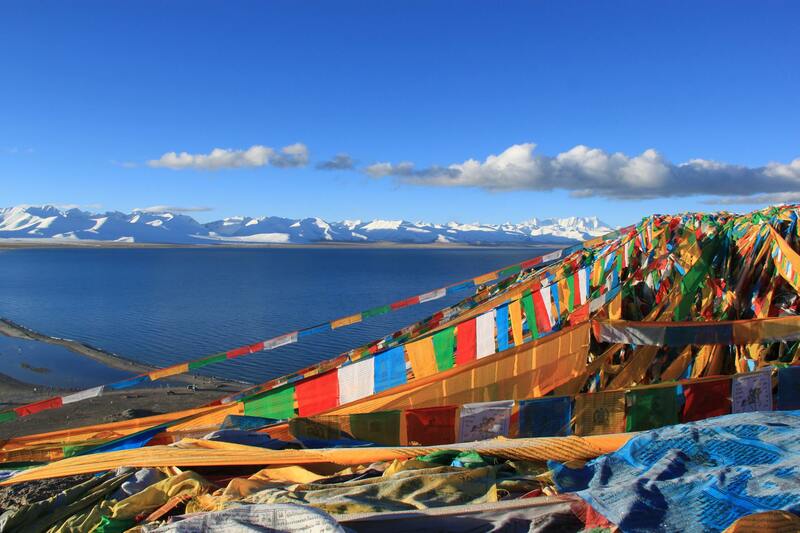 The struggle for fundamental rights in Tibet continues to this day. 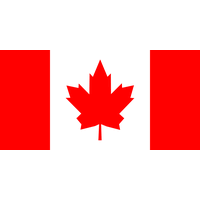 Flag Run: Meet at 11am at Mile Zero for prayers and the start of the flag run to Centennial Square. March: Meet at 12:15pm at Centennial Square, Victoria to walk to the Legislature for a Rally. 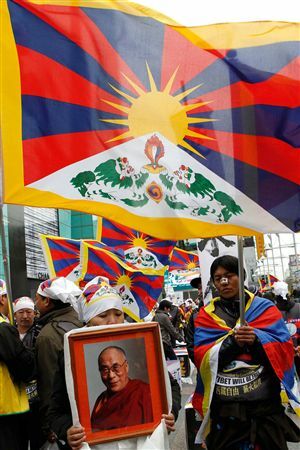 The Tibet Support Committee marks the 10th anniversary of the uprising in Tibet in 2008 and the 59th anniversary of the 1959 Lhasa uprising. 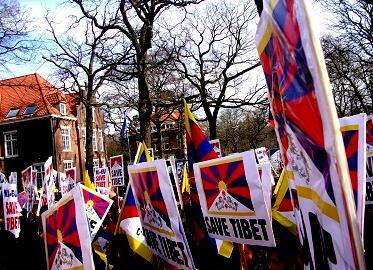 Co-organisers are the Danish Tibetan Cultural Society and Students for a Free Tibet. 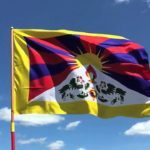 Information: On the Tibetan Upraising Day 2018, Tibetans and others around the world will organize demontrations to share information about the ongoing human right violations in Tibet. 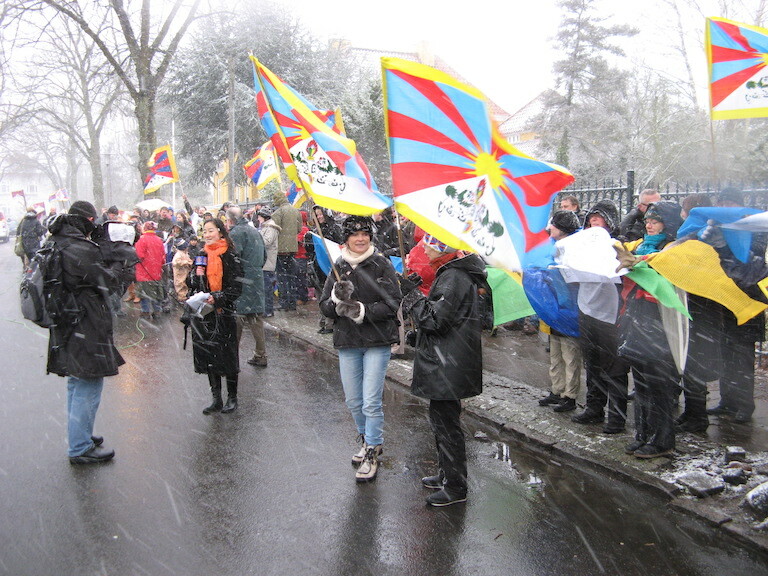 We will stand next to Kolmen Sepän statue in Helsinki to give speech about the situation with Tibetan flags and pictures. Please come and join to support us! 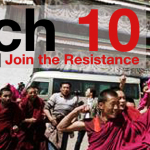 12pm – Protest March through the city centre. More information shortly. Raise a Flag for Tibet: On March 10, 2018 hundreds of towns and cities across Germany will be flying the Tibetan National Flag as a signal of solidarity with the Tibetan people. 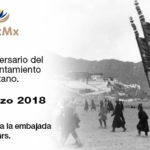 Join us on 10 March 2018 for an exhibition and a Peace March. 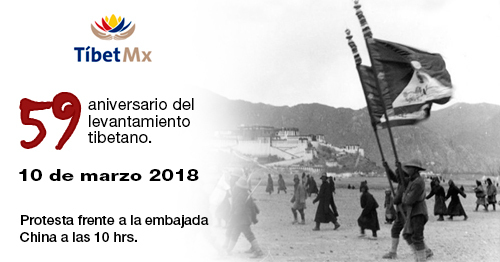 El 10 de marzo de 2018 se cumplen 59 años del día del levantamiento tibetano en contra de la invasión China de 1949. 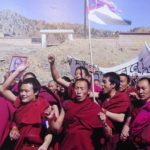 Protestaremos en contra de la ocupación del Tíbet y exigiremos el respeto a los Derechos Humanos en el Tíbet, la libertad inmediata e incondicional de los presos políticos y que se detenga la destrucción del monasterio de Larung Gar. 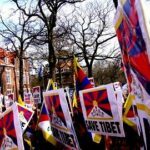 Norwegian Tibet Committee will be holding a protest rally outside the Norwegian Parliament on 10 March 2018. Meet in front of the Norwegian Parliament at 12 midday. Information: 10 marca jest najważniejszym świętem narodowym Tybetańczyków. Jego Świątobliwość Dalajlama wygłasza coroczne Orędzie. Na całym świecie ludzie popierający sprawę walczących o swoje podstawowe prawa i godność Tybetańczyków, w pokojowy sposób demonstrują swoje poparcie dla prześladowanego narodu. W związku z tym proponujemy bieg etapowy na trasie Legnica szczyt Śnieżki. Uczestnicy przebiegną trasę etapami (odcinki 15-20 km) pojedynczo lub grupami w zależności od wydolności i ilości chętnych. Information: 10 marca przypada kolejna rocznica Powstania w Tybecie, w wyniku którego Tybetańczycy utracili resztki autonomii, wielu z nich zginęło, a jeszcze więcej musiało uchodzić z kraju w tym Honorowy Obywatel Miasta Wrocławia Jego Świątobliwość Dalaj Lama. Do dzisiaj Tybet nie jest wolny. Do dzisiaj ludzie nie zgadzający się z polityką Komunistycznej Partii Chin są aresztowani, trzymani w nieznanych miejscach, skazywani na wieloletnie więzienie, kare śmierci. W proteście przeciwko prześladowaniom od 2009 ponad 150 Tybetańczyków dokonało samospalenia, jako ostatecznego aktu oporu przy całkowitej obojętności tzw, cywilizowanego świata. Jak co roku grupa obywateli Miasta Wrocławia będzie się domagać od władz miasta wywieszenia flagi Wolnego Tybetu przed ratuszem. Jak co roku powstanie społeczny Poczet Sztandarowy. Każdy kto czuje, że chciałby dać wyraz solidarności w imię podstawowych ludzkich wartości z Tybetańczykami – niech czuje się zaproszony do naszych działań. 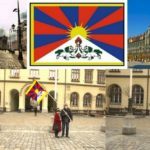 Zapraszamy na wrocławski rynek do symbolicznego, obywatelskiego pocztu sztandarowego, zapraszamy do pisania listów do Prezydenta Rafała Dutkiewicza, jesteśmy otwarci na pomysły. 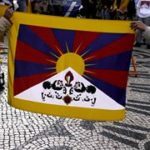 Information: Juntem-se a nós na Comemoração da Revolta Nacional Tibetana, ocorrida neste dia há 59 anos atrás, e do 10.º Aniversário do Grupo de Apoio ao Tibete-Portugal. 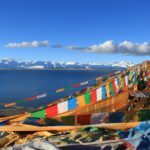 Tibetan Community in Sweden co-host with Swedish Tibet Committee! 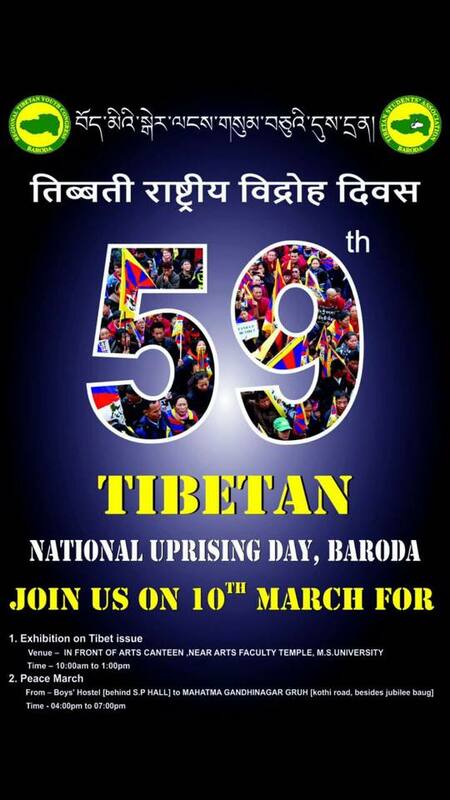 We will gather and manifest 59th year of Tibetan uprising day! 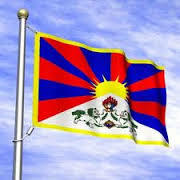 Remembering our brave brothers and sisters who sacrified their precious life for Tibet. 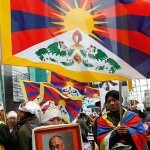 Sweden please join us & we raise our voice together against injustice for Tibet. For more information and updates visit the Facebook event page. 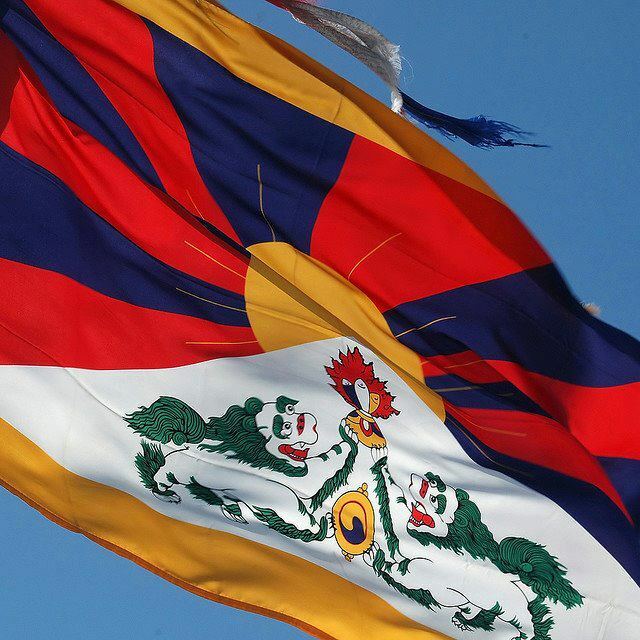 Information: Join us for a vigil to commemorate the 59th Tibetan National Uprising Day. 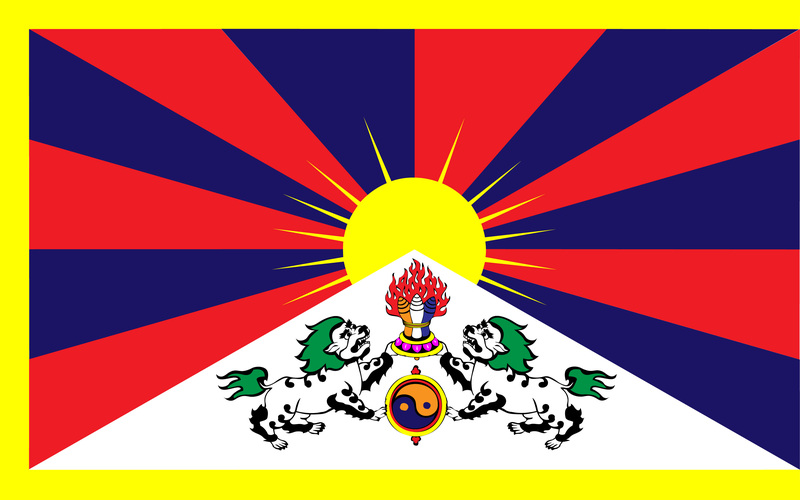 6:30 – 9:30pm: Commemoration of Uprising Day and Tibetan cultural events (Mahatma Gandhi Hall, Indian YMCA, 41 Fitzroy Square, W1T 6AQ. Nearest tube stations: Warren Street, Great Portland Street and Goodge Street). 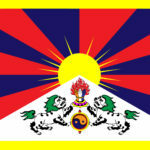 ***SF Team Tibet is a collaboration group between Students for a Free Tibet – Bay Area, San Francisco Regional Tibetan Youth Congress, Tibetan Association of Northern California, Bay Area Friends of Tibet. 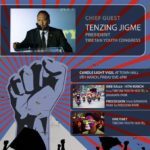 See the Facebook Event for more information and updates. 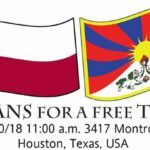 Meet in front of the Chinese Consulate. This will be our 5th year. 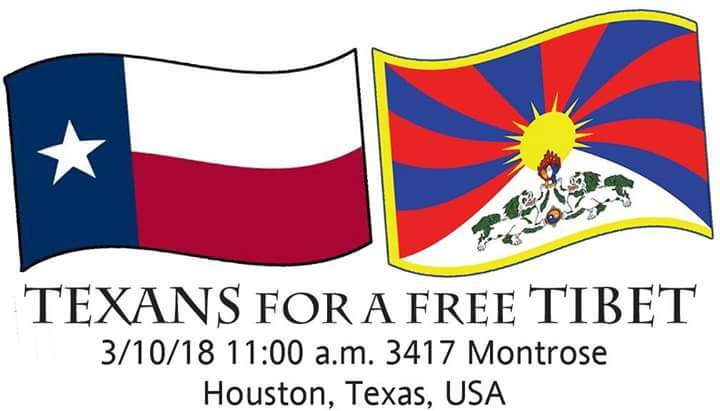 Bring flags and signs if you can. We will chant, sing, and protest until approximately 3 p.m.